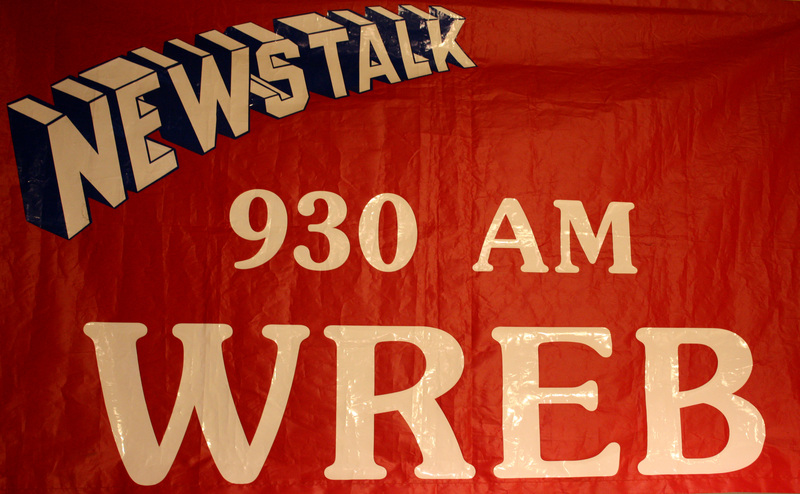 WREB 930 AM, operated as a local talk station based in Holyoke, MA. The 500-watt daytimer ran a 6 AM to 7 PM air schedule. It was unusual in that it did not have any sources of outside network audio. For a very brief period, just before it’s demise, the station ran CNN Headline news via a cable-tv feed during the mid-day. The station ran with three talk hosts and one news announcer. It was all local, all the time. Me in my talk jock days. While under powered and understaffed compared to other stations, it far and away had the highest TSL (Time Spent Listening) in the Springfield, MA market in the late 1980s early 90s. With a 500 watts at 930 AM, the daytime signal was more than adequate. Post sunset saw out of market signals seriously degrade WREB’s transmission. WREB was owned by members of the DuMont family which had created the DuMont Television Network which operated from 1946-1956. The station’s closure was created by a variety of factors including the crash of the Bank of New England. It has been dark since September 1991. WREB’s hallmark was doing remote broadcasts in the community. The Holyoke Saint Patrick’s Day Parade, Saint Patrick’s Road Race, Taste of Holyoke, Celebrate Holyoke, high school football and election night coverage were all staples of the airwaves. 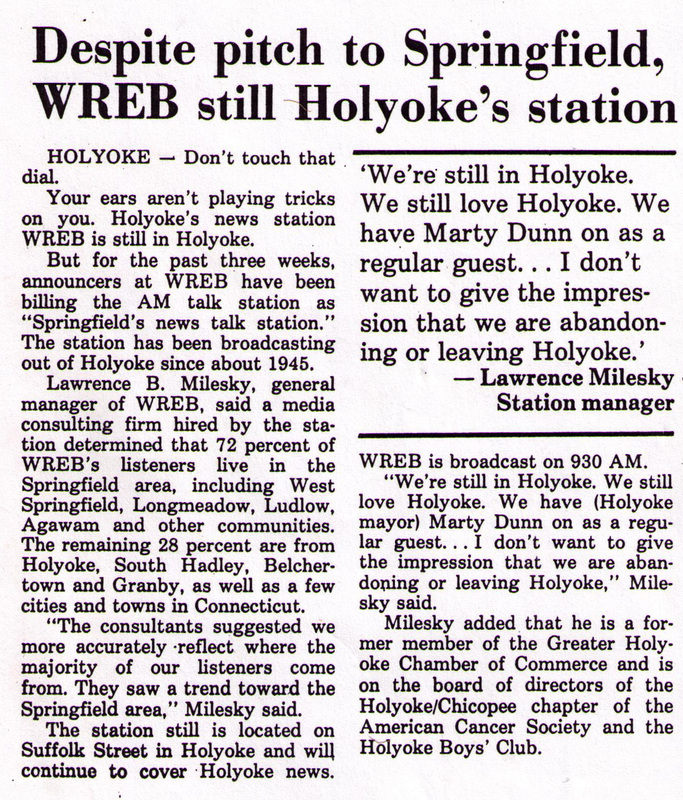 In the early 1990s, WREB was the second talk radio station to go out of business in the Springfield, MA radio market. Here the closure went well, General Manager Larry Milesky treated his staff with respect and kept them informed of the station’s financial situation. As a result the staff held together until the moment the transmitter was shut-off for the last time. 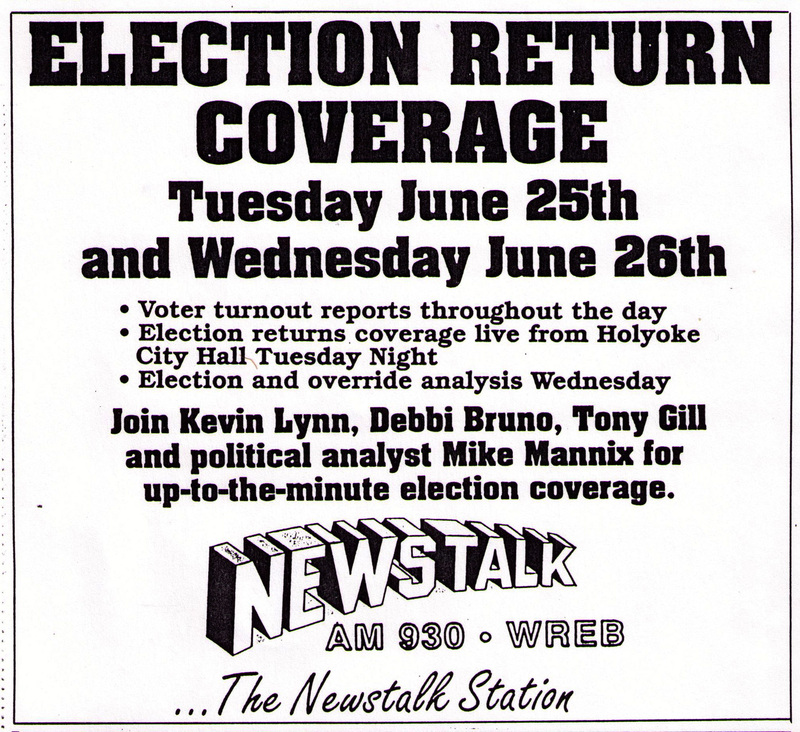 Above: Morning Drive Talk Host Kevin Lynn was featured in a 1990 Boston newspaper article on talk radio in Western Massachusetts. Holyoke is a proud city. It does not like to play second fiddle, especially to the city down the road. 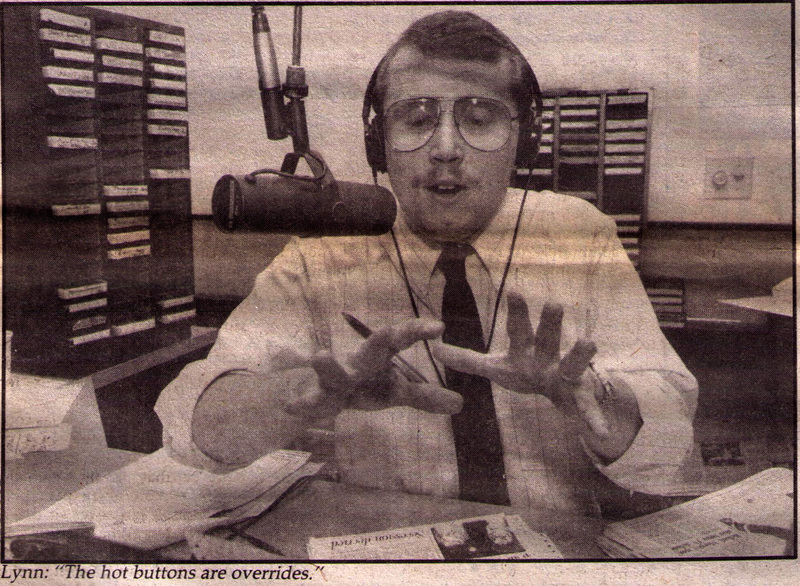 When WREB began calling itself ‘Springfield’s NewsTalk Station’ it created a minor furor. Such was the attention that the now defunct Holyoke Transcript came calling to find out what was going on.